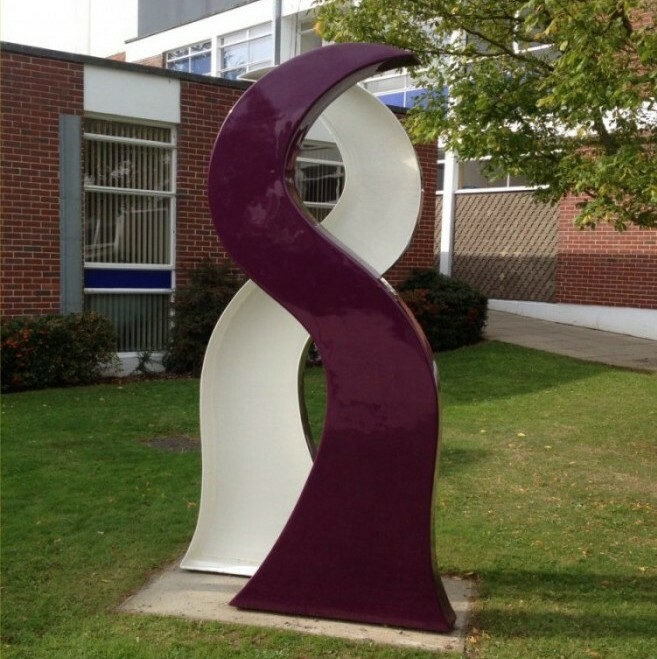 So, we were contacted by the cultural studies head, Maureen Mottley, of Dereham Northgate Highschool who needed our help to bring a long-since-started project to a happy conclusion. A GRP mouldtool was already in existence, which had been formed from a Plaster of Paris original pattern, so without further ado we set about preparing it with a various array of abrasives, compounds, and release agents until we had something we were happy to put to work. I&S Composites creates bespoke GRP Shower Trays and Light Domes for Luxury 65 metre Yacht. 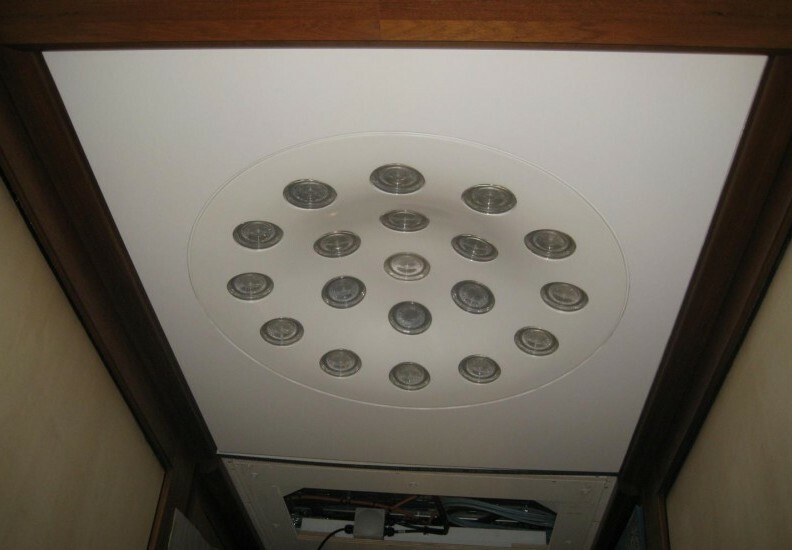 We are proud to be working in partnership with custom interior design and manufacturing company Struik & Hamerslag UK Ltd as they refit the interior of a 65 metre classic motor yacht.. We have been commissioned to manufacture seven bespoke GRP shower trays and two GRP ceiling skylights from drawings provided to us by S&H. 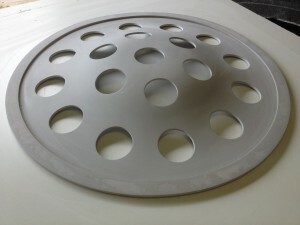 The attention to detail is stunning! 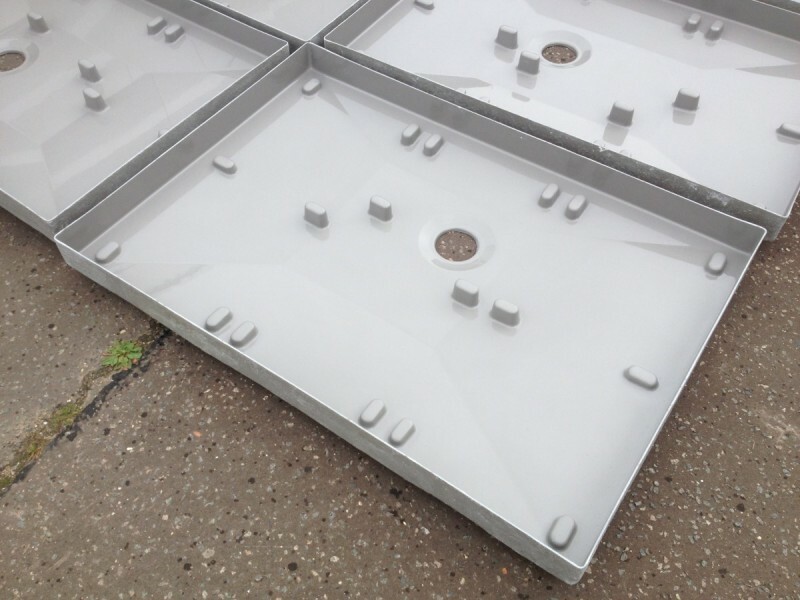 Highly accurate patterns, followed by expertly produced GRP Mouldtools and subsequent GRP Mouldings was our brief -and we rose to the challenge to meet the exacting specifications, the pinnacle of quality requirements and rapid turnaround times required on the project. 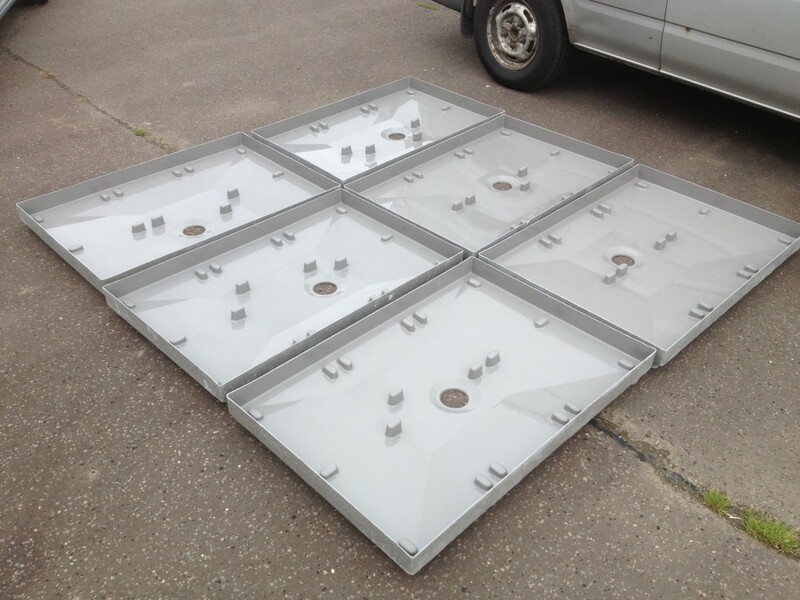 Lightdome in situ… illuminations to follow! 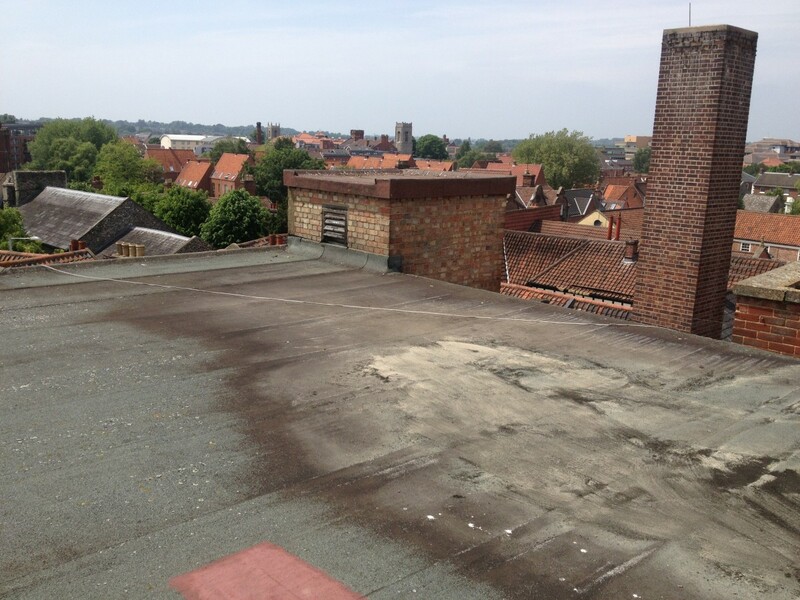 The historical and popular Maid’s Head Hotel in Norwich was built over 800 years ago. 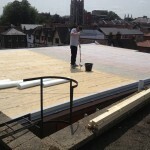 It is an iconic building, nestled in amongst the surroundings of Norwich’s equally famous cathedral. 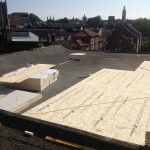 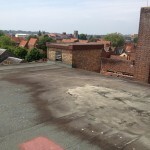 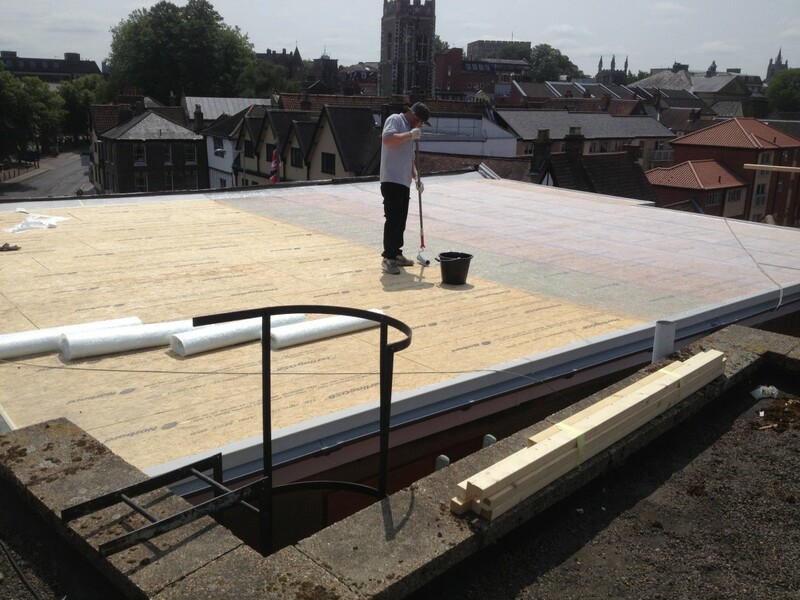 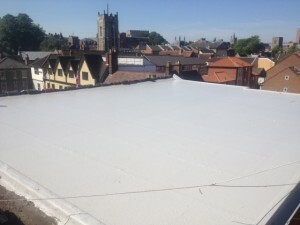 We were commissioned by a local commercial installation specialist to renew the 93 square metre flat roof, which had suffered from ‘ponding’ due to the old roof joists having sagged over the years – what was required was a new ‘warm roof’ system which involves the application of a ‘cut-to-fall’ foam insulation boards. 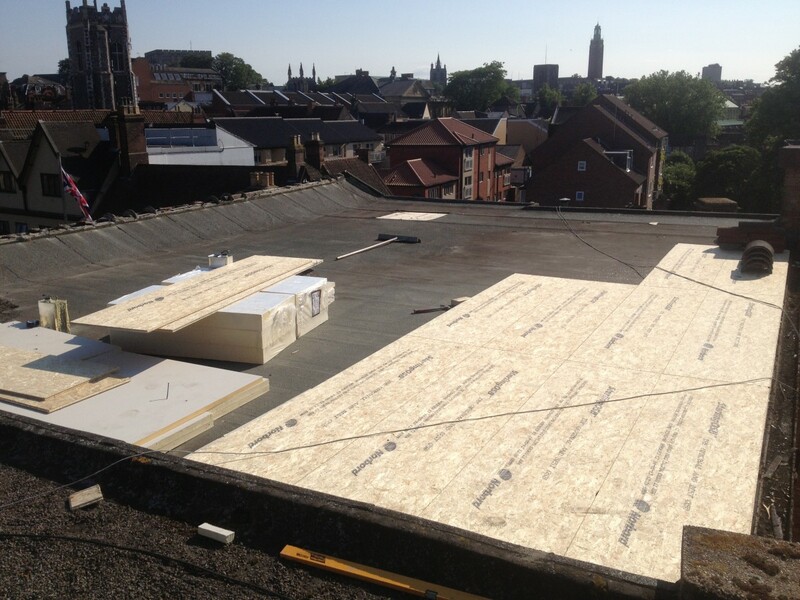 These boards are tapered so that the fall required to shift rainwater from the roof is built-in. 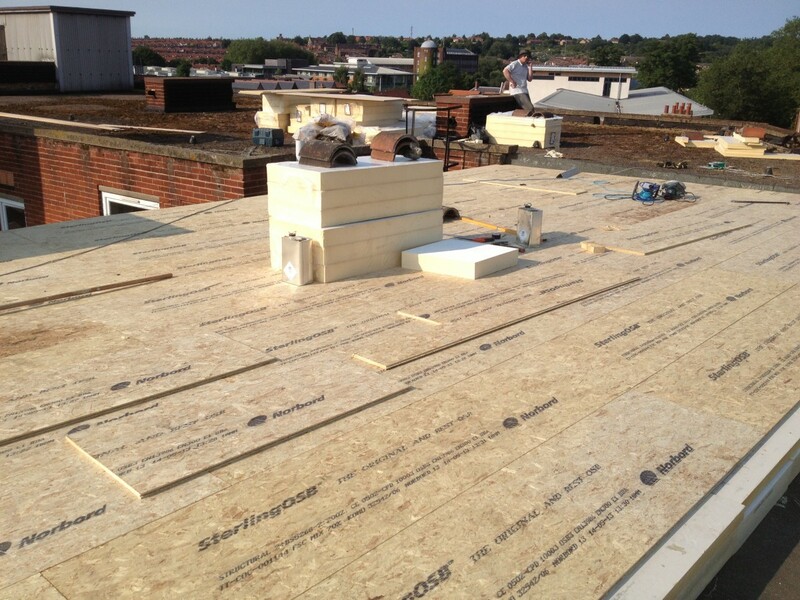 On top of these boards we installed new OSB3 tongue-and groove followed by our unique two-layer GRP roof system. 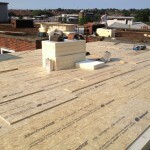 Some pictures of the project as it happened….